There are a handful Branson’s animal shows that feature some lovable and huggable creatures that are sure to give you fun and excitement. Many of Branson’s animal shows include a wide variety of productions with great animal performances mixed with magic and hilarious comedy. 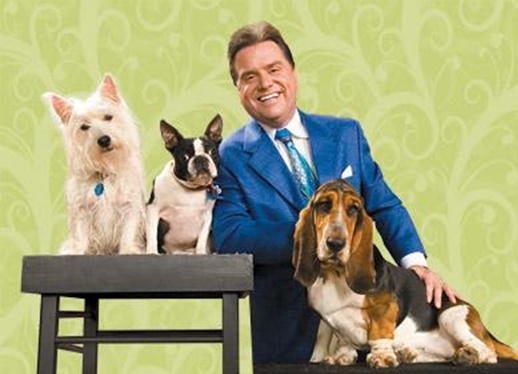 When searching for animal shows in Branson, you will find options to choose from that include The Todd Oliver Show, Hamner Barber Variety Show, Kirby VanBurch Magic Show, and Amazing Pets Show. Some of the top Branson’s animal shows also include the Hamner Barber Variety Show where Jim Barber will entertain you with his talking puppet “Chico Pete”, Dave Hamner along with his beautiful birds assisting him with his amazing illusions. Well known magicians and illusionists around the world, Dave & Denise Hamner have appeared in major shows and productions throughout the world. The two received one of the most prestigious awards within the magic community that includes the “Bronze Lion Head Award” bestowed personally to them by Siegfried & Roy. The Kirby VanBurch Magic Show in Branson is one of the biggest shows featuring exotic animals and large-scale illusions, and beautiful assistants that you can see on stage along with magician and illusionist Kirby VanBurch. The group perform together to create one of the most amazing animal shows that you will ever see in Branson. In this show, you will see nearly a dozen exotic animals that include leopards, lions, and even the rare white tiger. The Amazing Pets Show is another fascinating animal show in Branson where you see lovable pets hop, jump, and perform tricks in one of the area’s most popular kid shows. Here, you will see plenty of furry creatures that are sure to give fun and excitement to people of all ages. The Amazing Pets Show in Branson is one of the most popular family morning shows that provide humorous and entertaining antics by some of the most amazing pets and performers that you’ll ever come across. The show features a trained house cats, exotic birds, dogs and even monkey that will keep you smiling and laughing throughout the whole show. So, if you want to see a unique animal show that features lovable and huggable creatures, visit some of Branson’s animal shows where you see great animal performances mixed with magic and hilarious comedy.